(£6.99; Headline Review) so much, we chose it as the very first novel for our new goodtoknow Book Club. Both funny and heartbreaking, it’s the story of 30-something Sophie who is run over by a bus but continues to watch over her husband, son and friends as they adjust to life without her. The Angel at No.33 is written by popular author Polly Williams. Polly left her career in journalism to become a novelist when she was pregnant with her first child. Her first book, The Rise and Fall of a Yummy Mummy, was published in 2006 and became an instant bestseller. Her other books include It Happened One Summer and How to be Married. Polly is in her 30s and lives in London with her husband and their three children. How did you come up with the idea for The Angel at No.33? The question ‘What if something happened to me?’ was intriguing, and I was playing with the idea of answering it from a dead woman’s point of view. But the book didn’t really come into focus until I’d fully imagined Sophie’s character, especially her voice. Once I had that, I was off! The book is both funny and moving, often at the same time. Was this a hard balance to achieve? It was an intuitive thing really. I’d read through what I’d written and, if I got the sense that it was turning into a bit of a downer, I’d revise it to feel more lighthearted. Working like this made the book more fun to write, although a child losing a parent is always unspeakably tragic, so I kept those parts of the book pretty raw. Were you worried that readers would think the subject matter wasn’t appropriate for a book that’s also very witty? No, because if you worry about that sort of thing while you’re writing, you grind to a halt. You have to trust your idea and see it through to the end. I worried about people’s reactions after I’d written the book, instead – while waiting for the reviews! Was it tricky creating a character who is a ghost? Did you approach her in a different way to other lead characters you’ve written? The trickiest thing about writing Sophie was that she couldn’t directly affect the action. She isn’t an actual physical presence in the room, taking up space. But her death is the thrust of all the action, and her lively voice means that she’s still the living heart of the novel. How does it compare to your other books? I like to think this novel is a step forward from my other books, in terms of characterisation and plot. But writers always think that about their current book. My opinion will probably change next year! The book is partly narrated by Sophie and partly written in the third person. Why did you decide to structure the book like this instead of it all being narrated by Sophie? If I’d just had Sophie’s narration there was a danger that the book would become whimsical, and I wanted the reader to understand Sophie from the outside, not just from the inside. In order to do that, I needed someone really close to her to narrate from a distance, which is where the best friend’s third person narration comes in. There are lots of passages in the book where Sophie wishes she hadn’t worried about the little things so much when she was alive. Did writing the book make you appreciate your own life more and worry less about the small stuff? It did remind me how lucky I am to have a family and not to take the humdrum, normal parts of life for granted. It’s easy to imagine that glamour and wealth will make you happy, but ultimately ‘normal’ is the most enormous privilege: the smell of your child’s head in the morning; a glass of wine with a girlfriend; a new dress; your husband snoring in bed beside you. It’s these little everyday things that Sophie misses more than anything. It’s so personal to each reader, but it would be nice if they recognised it’s essentially a book about love. When someone who is cherished dies, the love still remains. I guess the book asks what you can do with that love, and explores where you should channel it once the person has gone. I’ve always felt like a writer. I wrote terribly bad poems from an early age, did creative writing as part of my English degree and became a journalist straight after uni. It’s been a constant in my life. I can’t imagine not writing. I always hoped that I’d write a novel one day but never seemed to find the time. Life was full and I loved working as a magazine journalist. It was only after my first son was born that I started my novel, mostly because I feared if I didn’t have a go, it would never happen. People mutter darkly about the ‘pram in the hall’ killing creativity, but for me, having children has made me more creative, not less. How do you juggle life as a mother with writing your books? I think any working mother has challenging moments, but you just muddle through, don’t you? There’s no perfect answer. For me, good childcare is a necessity because my youngest is not yet at school and I’d never get a word down if I had to look after her full-time. But my plan is to fit writing into school hours when she starts school. It’s impossible to answer, as there are so many! Writers I’ve been enjoying recently include Diana Athill, Jennifer Egan, Jojo Moyes, Marian Keyes, Michelle Paver and Sarah Winman.  What does it mean to you to be the first ever author and book in the goodtoknow Book Club? I’m thrilled! When you’re writing a book it’s so hard to know if it’s any good (I was convinced The Angel at No.33 was an unmitigated disaster at many points along the way), that to be picked for the goodtoknow Book Club feels like a huge vindication. It makes it all worthwhile. I just hope goodtoknow readers enjoy it!